As people see the videos on YouTube or get the opportunity to comment on them. that means but Now YouTube introduces messenger App like Facebook messenger users. written messages and links together and will not need to go out. 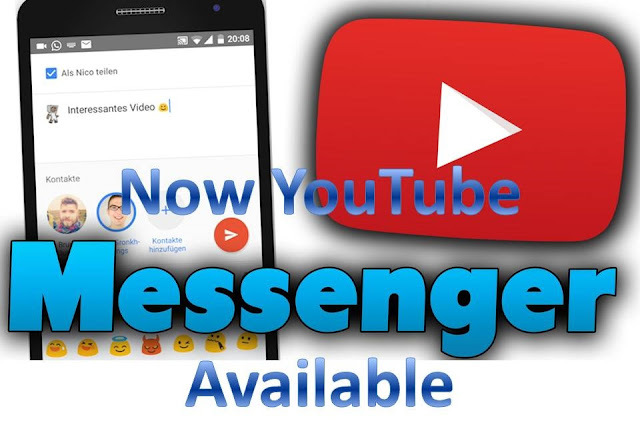 This time messenger trial is underway in Canada from YouTube. But it can set a very high impact on the future of Google's app. In fact, Google wants to defeat, Facebook, Amazon tried to snap chat in their field. a year and in May 2016. Google wants to make YouTube better than social media. company will increase the videos and they were sharing it within the app. YouTube wants users should place the app where they can live and not have to get out to see the link.